You may have suffered from whiplash if you have recently been involved in a road traffic accident. Whiplash is the most common type of neck injury arising from car accidents in the UK, caused when a jolt, front or rear force propels the body violently forward. The neck is thus forced beyond its normal range of movement, exerting and putting stress on the soft tissues/ muscles within. * Stiffening of the neck, often accompanied by acute or minor pain. * Throbbing pain, dull aching and ‘pulling’ pain. * Restricted movement of the neck (most commonly inability to turn the head left or right). * Muscle spasms at the side/ back of the neck. * Shooting pains from the neck/ shoulders down to the arms. If you have suffered from one, or variable symptoms of whiplash, talk to one of our trained advisors, who can connect you with one of our specialist whiplash claim solicitors. There are no fees and if we win your case, you get to keep 100% of the compensation. Whiplash is most commonly caused when a car is shunted from the rear and although speed has much to do with the initial impact, it is not an indicator of the severity of whiplash suffered. Road traffic accident victims often find they have little restriction in movement or noticeable pain in the immediate aftermath of an incident, however, like many injuries involving stress or tearing of the muscles, it can become extremely painful and even restrict bodily movement. Medical intervention is highly advised as early as possible to prevent further complications or advancement of the injury. If you are uncertain whether your symptoms qualify for a whiplash compensation claim, contact us today. We can advise you of the options open to you, without obligation. 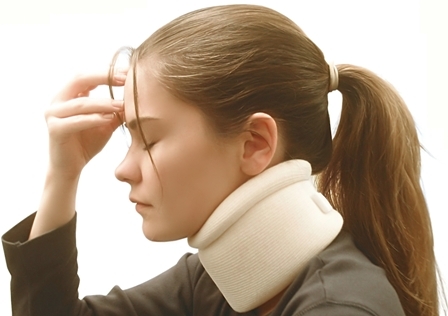 Whiplash compensation claims constitute difficult litigation territory from standard insurance companies. Many do not honour claims unless sufficient medical evidence proves beyond all reasonable doubt that the injury was caused by the road traffic accident. Our no win no fee whiplash claim solicitors are well known for their work with whiplash injury claims and offer their services on a full no win no fee basis. They can provide tailored advice depending on your circumstances and even seek compensation for an injury sustained. All this is offered at no cost. To find out if you qualify for compensation, or no obligation advice, please call us on: 08 If you would like a tailored response by email or telephone, please fill out the short form here on our claim online form and one of our specialists will get in contact with you. Remember, if your symptoms are persistent, worsening or restricting your movement, you should seek professional medical advice immediately.